Arcturians: Suzille, I AM Arquelle. I AM an individuated fifth dimensional form of our Arcturian energy. Our Arcturian energy is multidimensional and has NO limits. However, we do create humanoid forms for specific purposes. I have come to you now wearing a humanoid form so that you can better remember who WE are. Yes, I do mean “we,” as in you and I. You are now receiving my message from a fifth dimensional, human form on New Earth. Suzille: Are you saying that I already exist on New Earth in the form that you/we are on New Earth? Arquelle: Yes, you are correct. When I said that I took an individuated form, you must realize that my “time” doesn’t work in the manner that it does in the third dimension. Therefore, since there is no sequential time, I/we have always had this form within the HERE and NOW of that frequency of reality. S: Therefore, I have always had that form, but my consciousness has just recently entered into the frequency that you could share this information with me. Is that correct? A: Yes, that is correct. 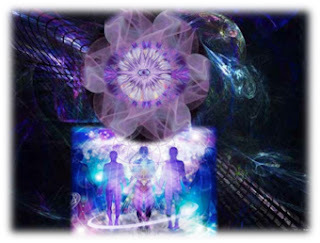 You have met many of your forms, and we (I will now revert to my confortable term of “we” rather “I”) are here now to introduce you to a fifth dimensional, humanoid representation of our Arcturian energy. We present this form to you to assist you with the quandary of transmutation of a third dimensional form into a fifth dimensional form. As you communicate with us, feel how our fifth dimensional form interfaces with your present ascending reality. S: When I close my physical eyes to view this form with my Third Eye and High Heart, I can feel a new, yet very familiar, version of my SELF within my current form. However, when I think of this form as “within” my physical form, I see it emanating beyond the boundaries of my earth body. I also feel something like a Portal that is a component of this form. My High Heart tells me that this Portal leads to New Earth. However, it is not a physical Portal. Rather, it is a Portal for my consciousness, which nudges me to move through into a deeper, more expanded state of consciousness. This level of consciousness has not been as readily available before. Did you/we create this form of Arquelle to magnetize me into a higher expression of my daily self? A: The first thing that needs to be considered is your Belief in your SELF. If you do not believe that YOU can merge with your fifth dimensional, Lightbody that resonates to New Earth, you will be working against yourself rather than FOR yourself. We ask you now, “Is it easier now for you to BELIEVE that you can merge with your SELF on New Earth now? S: Yes. It is easier to release my attachment to the human form now that my fifth dimensional SELF has a name, a feeling, a communication style and a sense of familiarity. A: You have seen how simply the changing of forms occurs on Alcea. Alcea is a planet in our Bootes System. Many of us enter that planetary experience to remember the feeling of form. The experience of form only lasts for a few generations there, and it is a planet based on love, as is New Earth. It appears to be a water planet, as the water and sky are ONE, but the land is under the water/sky. However, the water does not invade the land; in fact, it protects the land. The water/sky mantle allows great protection for those who take form on the planet. S: I have read that Earth once had a mantle to protect Her. Is that correct? A: Yes. Earth, too, once had a mantle of protection, but it was lost when the planet, which is now your asteroid belt, was destroyed. Without the protection of the mantle, many Beings of dark intent could enter into your reality. The entry of these dark ones made incarnation on Earth very unsafe. The doubt of which you have spoken is created by fear. Hence, doubt is best healed by love and safety. We are with you, and all ascending ones, to teach you more about being your fifth dimensional SELF while still wearing a third dimensional form. If you KNOW that you are already fifth dimensional inside, you can allow that emanation to seep into your physical world to assist with your ascension. You had the vision of a totally safe ascension in the totally loving and calm environment of Alcea to assist you with your present ascension. Hold this loving safety in your consciousness, and tell us how it feels. I see the round Portal of my High Heart and imagine that it is opening. Again, I see the white, etheric hand and arm pushing the Portal open. I step over the threshold and into my High Heart. Instantly, I see what I have always known as the Land of Faerie. This place was where I went as a child to feel safe and happy. I am sure that is why I am there now. Yes, I feel the safety now. I know that the Land of Faerie still has polarity, but my experiences there were always happy and comforting. Therefore, I have the Belief that it is safe there. I also have the innocence of a child. With my child’s eyes I see a high mountain with a beautiful Castle, which is ruled by a loving Queen. The Castel protects me and, also, gives me the need to climb higher. A: The great safety you feel in Faerie represents your High Heart Portal. Alternatively, that which you perceive as the Castle high on the hill represents your Pineal Portal. The Pineal Portal assists you, and all ascending ones, to break away from the third dimensional habit that REAL can only be determined by your five physical senses. The reason that the Pineal Portal feels “real” is that it creates intense imagery, which is accompanied by very visceral feelings, emotions of bliss and experiences of unconditional love. Because of the power of these wonderful experiences, you WANT to believe that your journeys in consciousness are real, as they are so very superior to your experiences in the physical realm. 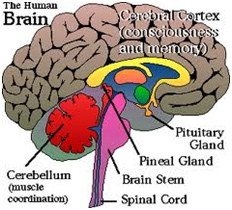 S: How does the Pineal Gland give us these experiences? A: The Pineal Gland it is the Portal through the high frequency waves of multidimensional light and unconditional love enter your physical form. This Portal is a filter, as well as a magnet. 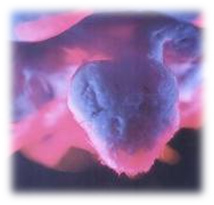 The “filter” dis-allows the low frequency, fearful thoughts/emotions from invading the higher realms. On the other hand, the “magnet” attracts the higher frequency thoughts/emotions to adhere to the downward facing peak. These higher frequency emotions send a bio-chemical that you are ready to experience higher frequency of reality. The Pineal Gland hangs from the top of the Third Ventricle of the brain, just over your brainstem with its peak hanging up side down. This Gland works similar to a microphone that can direct certain frequencies to the woofer or to the tweeter. Your Pineal Gland can filter out the lower frequency thoughts and magnetize the higher frequency thoughts to its opening is at the tip of the “pinecone” shaped Pineal Gland that is hanging downward. People with a fear-based consciousness cannot accept the higher frequencies of light, as the extremely high frequencies will frighten them into creating frightening images. Therefore, the point of the pinecone, which is the Portal through which the higher light can flow into the physical body, can only be opened by positive, higher dimensional thoughts/emotions. Positive, loving thoughts and emotions open the Portal because their energy signature states that you have gained some Mastery of your energy field and are ready to experience higher realities. The higher light can then travel from the Core of the Pineal activating the DMT. The DMT then stimulates the euphoric spots on your Eighth Chakra, at the hairline of your forehead, to open you to higher states of consciousness. At the same time, the Kundalini is stimulated to create an undulating sensation to pump the Kundalini Energy up from the Root Chakra and into the Brow Chakra where is can connect with the incoming higher light and unconditional love. When this connection is complete, the Third Eye opens to activate your expanded perceptions of higher dimensional versions of reality. As the Kundalini rises, dross matter stored in the chakras is spun off by the increased spin of each chakra. These sensations can be quite blissful if you surrender to the process. However, if you tighten up and/or resist the process, there can be pain and discomfort. Once the Kundalini energy starts rising up your spine, it begins the process of transmuting your physical body into Lightbody. At this point, changes will need to be made regarding your choices in foods, life styles, thoughts, emotions and behaviors, so that you can become the Master of your energy field. To be the Master of your energy field means that you have gained mastery over the thoughts that you allow to linger in your mind and the emotions on which you choose to focus. Once the Pineal Portal has opened and stimulated the Kundalini to rise up your spine, it is vital that you become the Master of your Energy, for your thoughts and emotions will begin to manifest. If you allow the old behaviors and habits of fear, anger, doubt or sorrow to overcome you, it will be the same as crashing into a wall at 60 miles an hour. Once the process of transmuting your form has begun, it is difficult, and even dangerous, to try to stop it. Fortunately, your expanded perceptions act as safety mechanisms to protect you. S: How does our expanded perceptions serve as a safety mechanism? Conversely, if you are experiencing unconditional love and waves of bliss while you are perceiving Higher Beings, Star Ships, Galactics and/or beautiful realms of love and light, you will not be afraid. Therefore, you will not doubt your experience, and you will be able to Flow with your journey until it comes to its natural conclusion. This completion will occur when your body sends a message via the bio-chemical circuits that your have become fatigued. Then, the process can slowly come to completion in a matter that you body can adapt back to your former bio-chemical and neurological status. S: Thank you. I understand now how novel and blissful perceptions can allow us to surrender to our process of transmutation into higher frequencies of expression. A: Now that Earth resonates to a much higher frequency, the dark ones in the Lower Astral are more contained. Therefore, they cannot attack you psyche as they have in the past. Hence, transmutation of your form is a safer process. Before this era, the ascension process had to take place in a protected area, such as a Temple, and the ascending one had to be under 24-hour care. There were also Ascended Masters to assist the ascending one from the higher dimensions. Soon, many will be undergoing this process of ascension, and many of then will need assistance. That is why it is vital to remember that Gaia is be a component of your process. When you are dedicated to Gaia’s planet Earth, you will be part of an ascension process that includes the entire planet. Therefore, you will have the protection of the entire planet and direct access to the collective consciousness of ALL the human, animals, plants, elements and Elementals who are also ascending. When one person ascends alone, it can only be done with many attendants, or within a society that protects and cares for their Holy Men. In these civilizations, most ascended ones were males. In those patriarchal societies females would not get the protection and assistance that was vital for personal ascension. Nevertheless, some brave women were able to ascend, but their victory has been kept from the people by the prejudice of a male dominated society. Fortunately, the return of female power is bringing about the balance of masculine and feminine energy, which is vital for Planetary Ascension. In fact, men and women are equal in many of Earth’s current societies. You are entering an extremely exciting time for which you have prepared during myriad incarnations. You have had your personal ascensions, which allowed you to leave the Earthly wheel of life and death long enough to return to your Homeworld and reconnect with your Multidimensional SELF. However, you pledged to stay with Gaia until Her ascension, so you returned to Earth again. Dear ascending ones, do not forget that you are not alone and that we are always with you. In fact, we ARE you at a higher frequency. When you can fully connect with your Higher Expressions of SELF, you can allow these higher expressions inside the earth vessel that you are wearing to assist with your full ascension. We can easily be at many locations within the NOW of the ONE. Keep your eyes and ears open, your mind clear and your consciousness high so that you can accept the assistance that comes to you as you open your Pineal and High Heart Portals. When you open your Pineal Portal you will receive our higher light, and when you open the Portal to your High Heart you will find the love and safety that so necessary to face the unknown. Most of all, dear ascending ones, love your SELF unconditionally so that you can realize that you are ready to ascend NOW. KNOW that fact beyond a “shred of doubt!” WE are here to remind ALL of you that your fifth dimensional expressions on New Earth are ready to meet you and take residence within your NOW! In this manner, the YOU on 3D Earth can merge with the YOU on New Earth to become your Multidimensional SELF! Wow, thank you for these very deep insights that connect our physical makeup to our life purpose. What a beautiful message!Thank you Suzilie for sharing with us your wonderful experience.Much love to you.. Thanks again,after reading this, meditated and experienced my heart singing, really moving experience. Really beautiful...thank you for all the sharing that you do!